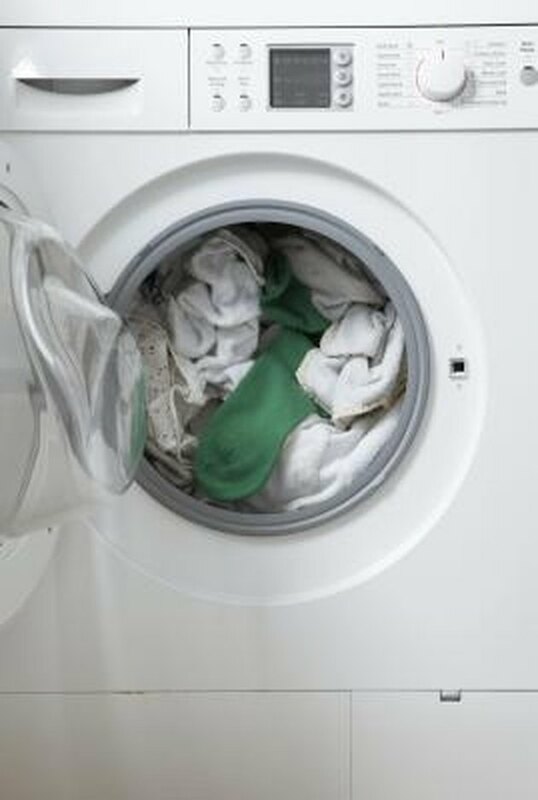 Washing machines can develop buildup because of mineral deposits and soap residue over time. This buildup may make your washing machine less energy efficient, and may even lead to a broken unit. To clean your washing machine of this residue, you can add citric acid to an empty wash cycle. The citric acid will dissolve stuck-on mineral deposits, dirt and soap scum. Citric acid is a common decalcification tool for appliances. Remove all clothes from the washing machine. Pour in 1 cup of citric acid crystals into the washing machine drum. Run a full wash cycle on the hottest setting available on your unit. The agitation portion of the cycle will spread the acid throughout the drum, and the rinse cycle will remove the broken up deposits and soap scum. Run a final rinse cycle to remove any citric acid residue before you wash a load of laundry.